What was/is the final verdict with Springfield Armory? It seems that some will never forgive SA for their actions with the lobbyist, while others accept the explanation that SA didn't know what was going on and that SA has since come out to assist us in the capital. Which is it for you? I am not convinced that SA didn't know, but I can appreciate their attempts to make things right with us. So, I am on the fence. Would you purchase anything they make? not that it matters to anyone but me and my LGS.....I would surely purchase another one of their fine firearms were I so inclined without a moment of hesitation. How I opt to spend my money and upon what has and will always be a matter of importance to me and my vendor du jour. Not an issue with me. I don't think they were aware of what the lobbyist was doing until after he did it. And I know for a fact, the company has been a strong supporter of gun rights in many ways for many years. They have encouraged their employees to contact lawmakers during threatening legislation and I remember when they let them do it on company time and on company phones. They are constantly donating guns and gear for raffles and events that support the shooting sports and gun owners. Y'all would be shocked at the dollar equivalent they donate to "the cause", our cause. They've been spanked, now it's time to support them as they partner with us and everybody move on. We have enough real enemies working against us, we don't need to make enemies of our friends. Anybody think we would be better off if we punished SA Inc into closing up or leaving the state? They employ a lot of people and all those people are our supporters too. So, I am on the fence. Would you purchase anything they make? Do you like their guns? Do they make something that nobody else does? I think people made their own decision on forgiving or not based on those questions. Ask the Sig and Kimber fan boys about brand loyalty. Todd and Molly have given them thumbs up for their current efforts and work of their lobbyists they have on the ground in Springfield. 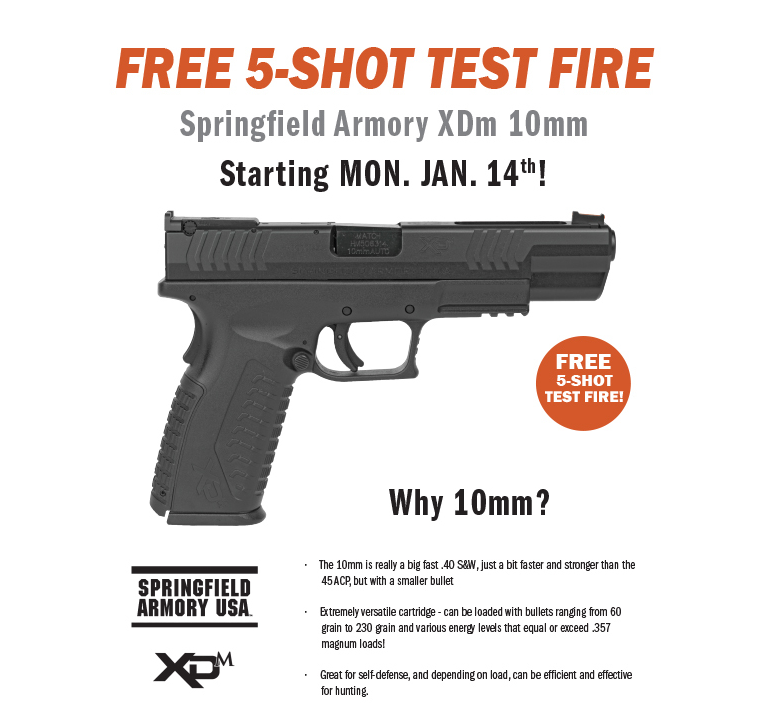 For those who are still friendly with Springfield Armory. Not one red cent of my money.....! And I will not work on any of their products, period. My Stand on the issue is: once a rat always a rat. I'm on the fence as well. They havn't imported anything I'm interested in since the XD-S though so I'm not losing any sleep over it. I own a few SA firearms, and they will not be leaving my possession. SA and RRA has nothing to offer that's unique, or desirable currently, so I don't see myself buying anything from either of them. With so many other manufacturers out there selling something that I want, avoiding SA and RRA is much, much easier seeing as they have nothing I want. Their OSP pistol was interesting, up until I threw a mount and red dot on my 5.25 XDM. The only thing I'd buy from SA right now is a stainless steel 1911. I believe they're still made with forged frames, as opposed to Ruger's cast one. I was thinking about one of their M1A rifles, as they are considerably cheaper than other makes. Looks like I'll skip the auto loading .308 rifle altogether then. 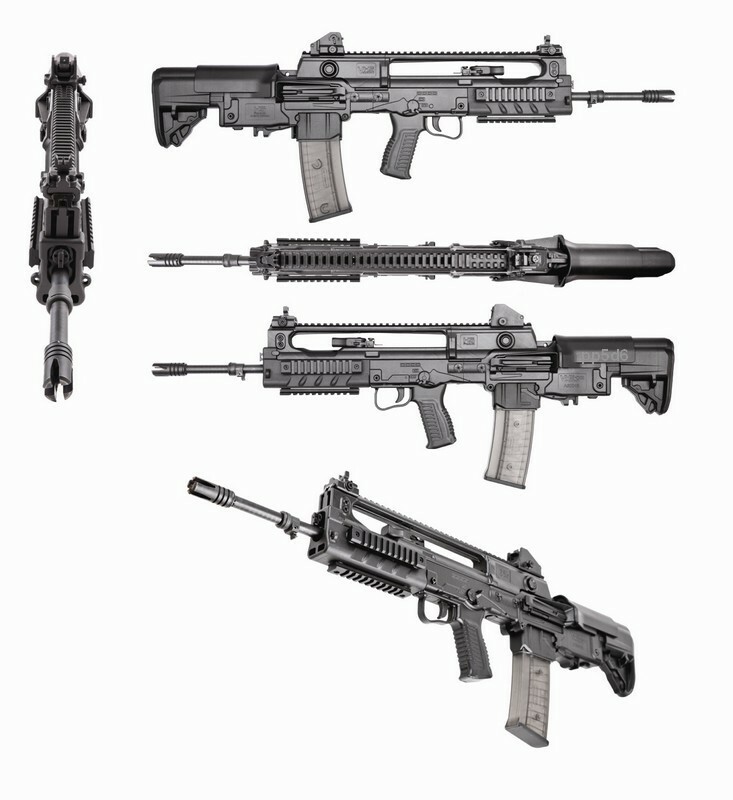 Maybe a nice bullpup 5.56 instead. Just me, but f I wanted one of their terrific M1A rifles? I'd quickly buy one of their terrific M1A rifles and not look back. I've handled few at NRA Conventions and they seemed outstanding. But I only try to keep me happy regardless of 'public opinion'. I bought one a few years ago and am very happy with it. It is super accurate with the right scope. They shoot really nice, but their fit and finish is much to be desired. I have the scout, so not the top model, but you still expect better for the pricepoint. If I were to do it again I'd get a Fulton Armory completed barreled action, national match trigger, and a McMillan stock. I had an argument on Facebook the other day with an idiot who posted a comment that said "don't buy anything Springfield, new or used". So I politely asked him why not used? I get why you don't want to buy new, but what's your reasoning behind not buying used. He replied "because you're supporting the company giving them more money. I said in response, but they already got the money from the person who bought it new. The only thing you'd be doing by buying it used is giving money to the person who's selling it. So if the money isn't going to Springfield on a used gun, why wouldn't you buy it? I was then called a liberal. There's a portion of gun owning conservatives that are bigger mouth breathers than liberals. It amazes me sometimes at how people are unable to use reason. It's not hard lol. After reading the opinions of complete (relatively speaking) strangers, are there now sufficient bathroom wall notations to influence how you spend your money? How many gun guys own S&W revolvers with Hillary holes? That's also tacit endorsement of gun control, but who else is making a better revolver? How much are your beliefs worth? Enough to buy a vintage Dan Wesson, Colt snake gun, or pre Clinton era S&W? Or would you only be spending the money because it's a nicer product, but you bring it up to virtue signal to your gun buddies? How much change needs to happen, time needs to pass, or renewed commitment to gun rights need to happen before your boycott ends? Anyone still not buying Ruger cuz the old man sold you out to sell more "ranch rifles"? Or do you not buy because they make crap products? How about Stag Arms after the feds barred Mark Malkowski from his own company after supporting expansion of rediculous gun control laws he fell victim to? They're under new ownership now. Or do you not buy cuz you don't shoot lefty? Edited by chicagoresident, 18 January 2019 - 10:15 AM. I wonder....have any people persecuted by the Axis powers in WWII ever bought a German or Japanese automobile? I only ask cuz if there are any surely the rest of us can cut Springfield Armory a little slack? I mean, it's kinda hard to call a major USA based gun maker anti-gun. I have a buddy who won't purchase German cars or Fords, because of Henry Ford's early support of Hitler. A step-grandfather had a thing against Japanese cars. He served in the Navy, Pacific Theater, WWll. I buy what I want... which would pertain to guns from SA. They have nothing I want. If they begin to produce High Power clones, I will get in line. Edited by soundguy, 18 January 2019 - 07:02 PM. Generally this. But I don’t care much about Illinois specific 2A axes to grind. I like guns. I want gun companies to stay in business so I’m not going to boycott any of them based on political drama, heightened by holier than me keyboard commandos. I think that’s a doom loop that should be preserved for the true patriots and purists. Good luck with that. If I like a gun, I buy it. Nothing in the SA catalog is making my wallet itch, so I probably won’t spend anything with them in near future. I’m a cheapskate so will probably be supporting demand for SA products through the used market. My "boycott" of Springfield Armory doesn't end until they import the VHS 2 from HS Produkt. It officially started shortly after I bought my M1A and was crushed that the super hyped Saint was just another AR. I also EDC a Walther in my Japanese made Subaru FWIW. Edited by chicagoresident, 20 January 2019 - 12:38 PM. I think Springfield armory makes good firearms but I also think they where total Jerks screwing over every Illinois manufactorer except them and Rock river arms . And even had they came clean I wouldve held it against them everyone who supports the second amendment should stick together and frankly Springfield sold them out for a advantage. Then to make it worse they made up a lie and are sticking to it . I do have a springfield MC operator and it's really a very nice firearm. I think we need to stick together now more than ever. And as much as I like my 1911 and as much as a Marine Id like to own a civilian M-14 It wont be a springfield, Which is a shame as it could have. To say you have no knowledge of what a Lobbist is doing when they have a office in your own building and you formerly said you talked to him often. then turn around and say you had no idea is shaping a story. They are just sad they got caught. I have a hard timing logically holding any "You guys are against the Second Amendment!" emotions against any company that distributes, makes and sells firearms for a living. And employs USA workers in the process. In truth I can't recall every letting any company management's political or religious leanings influence a purchase I've made. Mostly I decide on what I buy for practical personal reasons like desire, need, quality, price etc. This is why the secular society is messed up - there is no forgiveness. Yes, people screw up. They do stupid things. But when those same people take steps to correct their mistakes, I think forgiveness should be given, or at least give them the benefit of the doubt.